Dual Cigarette Lighter Socket with USB. 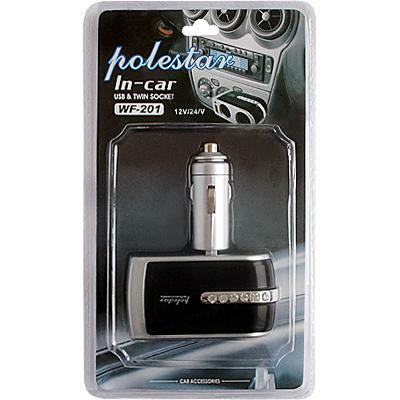 Convert and increase your car cigarette lighter from 1 to 2 sockets. USB charger output. Green light indicates ready for charging. Compatible with both 12 VDC and 24 VDC systems. LED charging indicator.